Dear NetherRealm: Please Make a Slasher Fighting Game! Seriously guys, please include an updated version of that song in Mortal Kombat X. Yet fighting games have struggled recently. The genre appeal grows more narrow. Really of the last five entries in the serious, only 2011’s Mortal Kombat was a serious hit and a critical success. The game featured a return to the series’ roots. Gone were the gimmicks, back were the classic fighters and tight fighting mechanics. It was a really fun game to play, and one of the downloadable characters was a tantalizing tease. The nightmare master himself, Freddy Krueger. Even the fact that they used the design from the crappy remake did not do much to reduce the awesomeness of this appearance. It just made sense, like the appearance of Kratos in the PlayStation 3 version of the game. Where else did slashers like Freddy belong if not in the most gory video game series out there. 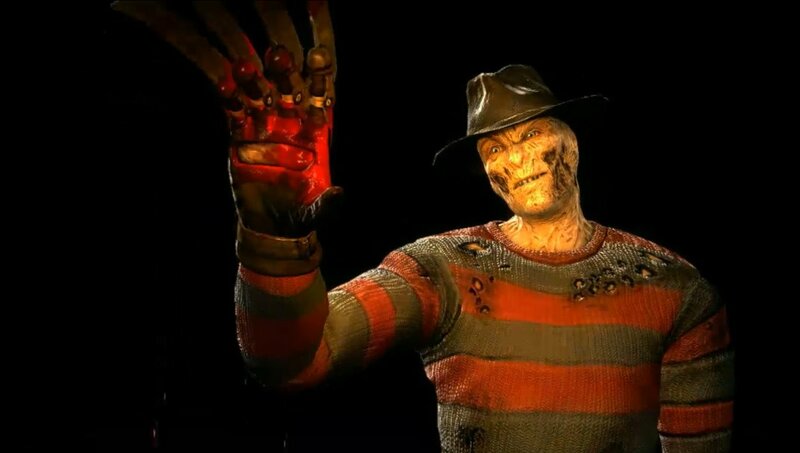 And if NetherRealm was thinking Freddy for Mortal Kombat, could they not be thinking more slashers… like say a game’s worth? But it did not materialize. Instead, NetherRealm moved onto the DC heroes and brought gamers Injustice: Gods Among Us. For the record, this was also a pretty enjoyable fighter. That said, the marriage was not perfect. NetherRealm had to drastically tone down the level of hyper-violence it is known for, and things like interactive environments played a much larger role. It was good but, well – slashers would be cooler. Think of it: classic characters like Jason Voorhees, Michael Myers, Leatherface, Chucky, Ashley Williams, and Pinhead face off against newcomers like Victor Crowley, Sam, and Jigsaw. The roster practically creates itself. Heck even the first two downloadable content bundles are easy to think of. First, the sci-fi slasher bundle including the Alien, the Thing, and the Predator. Then, the Universal Monster Classic pack. Jason Voorhees vs. the Creature from the Black Lagoon? Yes, please. And the wonderful thing about slashers is that they each have their own unique location. This makes coming up with stages a breeze. NetherRealm could even bring back their interactive environments to help add variety to each level. How perfect an idea is this? Indie developers have already created Terrordrome (free download guys, get it) while waiting for NetherRealm to get on board. Now, the only obstacle would be in obtaining the rights. Not all of these characters are owned by the same company. 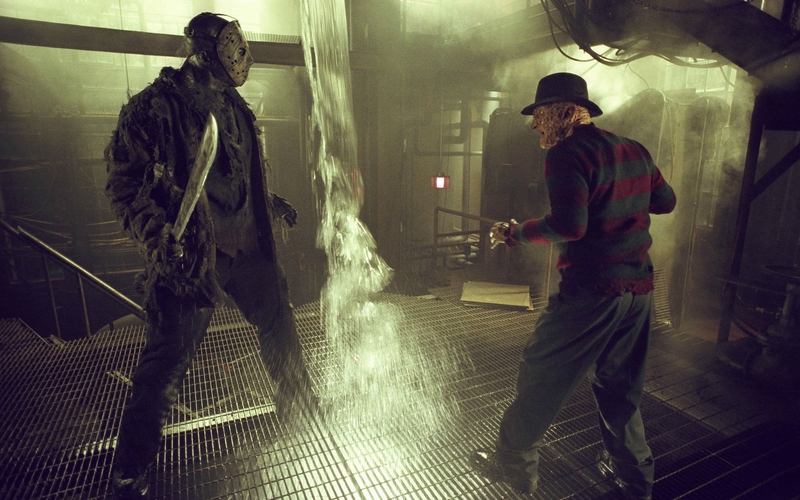 That said, quite a few of them are – Freddy vs. Jason is proof of that. Also, who is Hollywood kidding, slashers are not as popular as they once were. 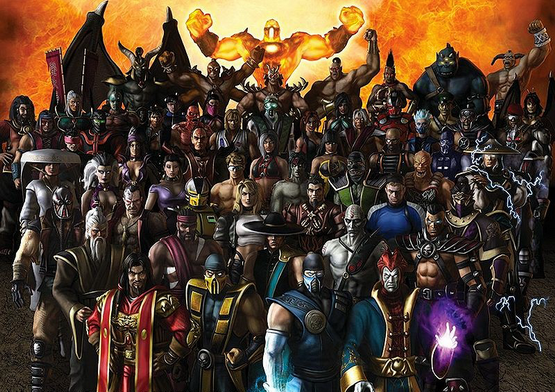 NetherRealm could probably acquire most of these characters for cheap on the basis of brand promotion. Would it have the immediate wide appeal of a game like Injustice: Gods Among Us: no. That said, it would actually likely sell better. As mentioned before, fighting games are an increasing niche market. With the exception of Nintendo’s Super Smash Bros., no fighting game will top this year’s list of bestsellers. The trick is to appeal to the fighting game fans out there. Frankly NetherRealm, a new Mortal Kombat with new characters made fresh on the heels of 2011… may not be what fans really want. Just look at all the favorite characters added from recent entries… all two of them. Release a slasher fighting game in time for October and see what happens. Picture this… but a lot more so. The article above is really cool!!! Do you really work for NetherRealm Studios? Could you please send me an e-mail or request ticket so I can contact you about something?